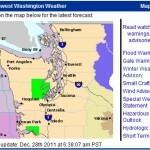 A flood warning has been issued for the Skokomish River. 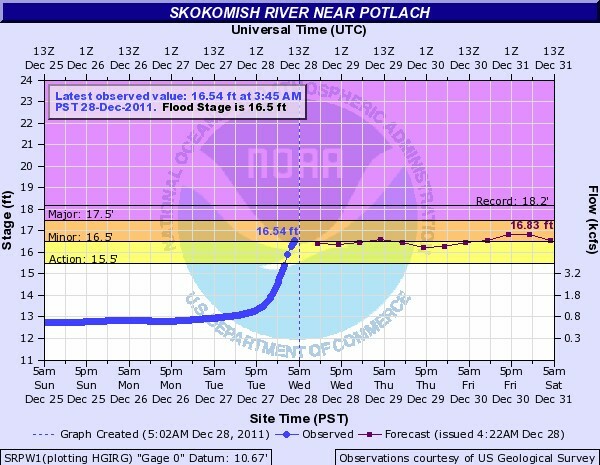 The National Weather Service says heavy rain along the south slopes of the Olympic Mountains will drive the Skokomish above the 16.5-foot flood stage. A series of weather systems will keep the River near flood stage through Friday. The chance of precipitation remains at 100% until Thursday when it drops to 90%. On Friday night a 60% chance of rain is expected through the New Year. 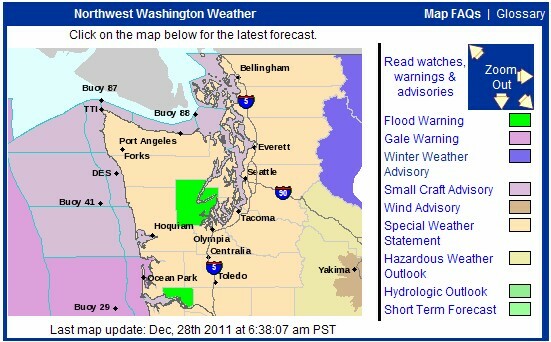 Windy conditions are expected tonight (12/28/11). West to southwest winds are expected between 21 and 24 mph with gusts as high as 31.